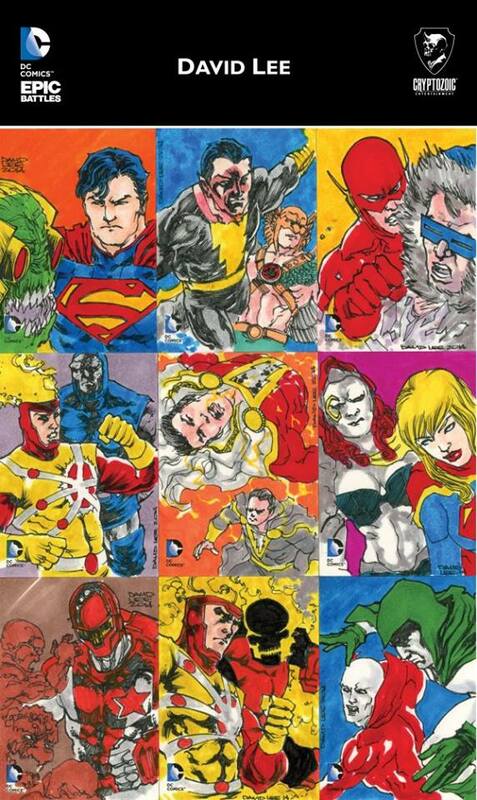 DC in the 80s: Can you pick a few of your personal favorite commissions you own and tell us the significance? Norm is my all-time favorite Batman artist and I was lucky enough to get this from him at a show a few years ago. Norm was super-nice and a pleasure to talk to. When I first made my wish list of artists and characters I wanted for my “Karate Kid vs.” collection, this was at the top of my list and I couldn’t have been happier when I received it. Tom is one of the best artists in the world, and he honestly gets the appeal of the Subs. This one started out as a piece for a Heroes Con auction, but Tom didn’t finish it in time and so I paid him to finish it for me. This one started as a commission of all of the Robins, but kept expanding until it included all of the Batgirls, Batwomen and Batmen. It is the largest commission I own and it measures almost seven feet long! Nate and Simon went above and beyond on this piece. 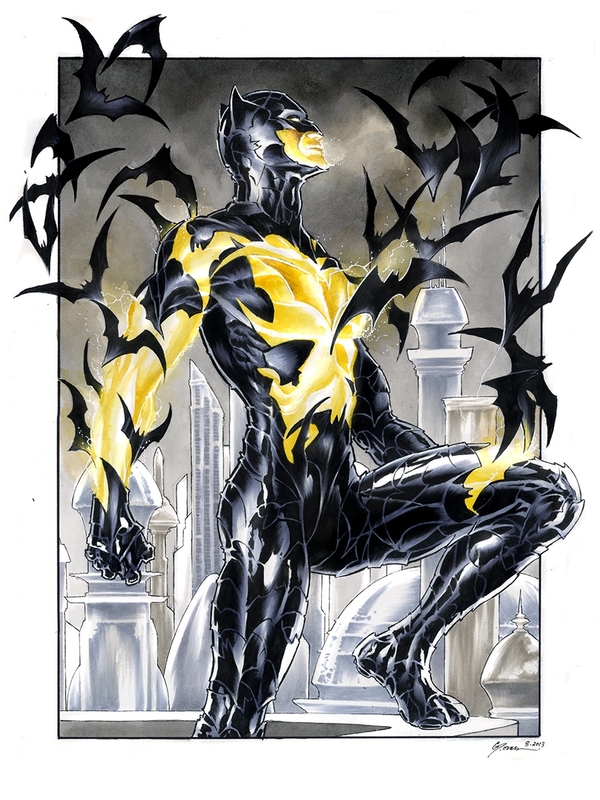 'Batsman' is an obscure future version of Batman who has a unique design that I love. Daniel is an incredibly talented artist. Put them together and you get this beauty! This is part of my "Asgard Meets the Fourth World" theme and showcases the incredible talents of Ron Salas. With this commission I went from being a fan of Ron’s work to being a mega-super-fan of his work! I have many commissions from Gene, but this is probably my favorite, with him drawing Laurel Kent in her rarely-seen Superwoman costume. Joel has been drawing the entire universe of Legion characters for me, and this may be my favorite from him. 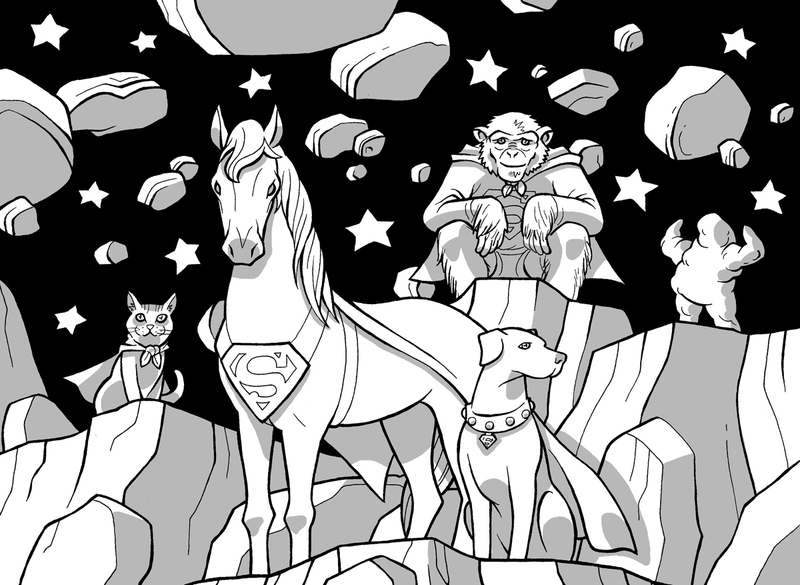 The Super-Pets team is a silly idea but I think that comics needs silly ideas! Since there have been three main versions of Val Armorr, I wanted to see them all having the best martial arts match of all time, and Derec delivered! 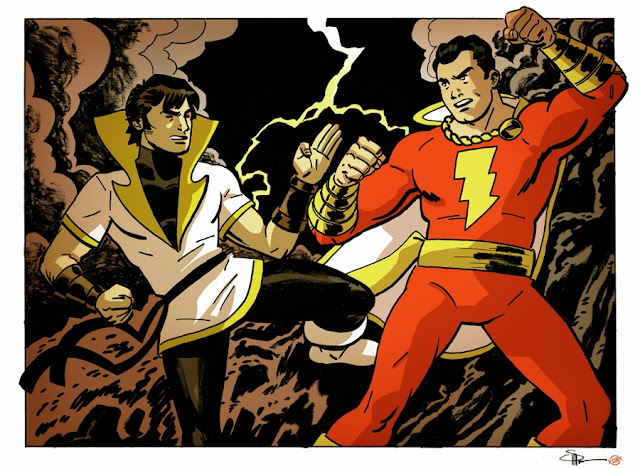 Years before DC would hire Evan to draw Billy Batson, I paid him to draw the good Captain going at it with the Kid. Ryan Cody colored this one, and he is one heck of an artist himself. Brendon and Brian are two of the most professional artists you could ever commission. They are great at communicating, offer excellent rates, and always deliver high quality commissions. I mean, look that this piece! It’s amazing! And Simon did a perfect job with the colors, adding just the right feel to it. DC80s: Can you tell us about your favorite DC books and your history with DC comics in general? Ellisor: My comics reading was very sporadic when I was a kid, mostly reading other people’s comics. I’m not 100% sure what my first DC comic was, but the first one I distinctly remember reading is Adventure Comics #501 (1983). This comic introduced me to many DC characters that I would come to love, especially the Legion of Super-Heroes! There were two Legion stories in that comic. 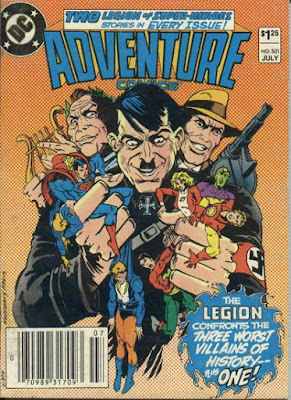 One had Superboy, Mon-El and Ultra Boy having their minds taken over by Adolph Hitler, Nero and John Dillinger. 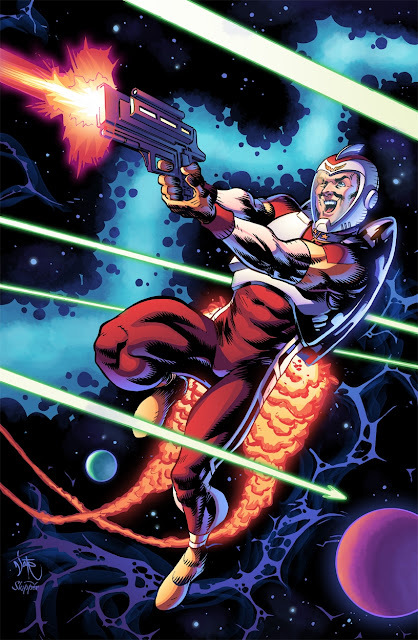 That was interesting, for sure, but I think that I was most intrigued by Ultra Boy, who basically had all of Superman’s powers, though he could only use one of them at a time. I spent some time thinking what I’d do with those kinds of powers. 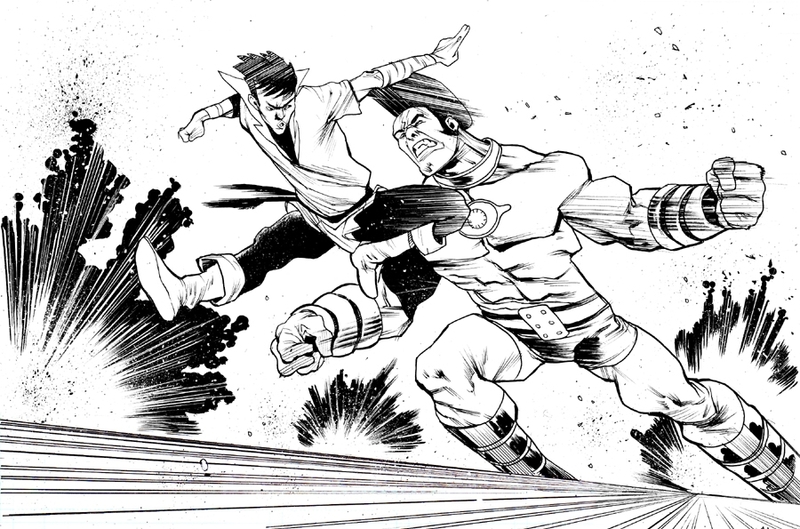 The second Legion story in that comic is still one of my favorites: “The Legionnaires’ Super-Contest!” It introduced me to one of my favorite concepts in comics – The Legion of Substitute Heroes! In that story, all of the Subs got to try out for Legion membership by being tested in various challenges. Stone Boy won the offer of membership, but ultimately decided to stay with the Subs. I love this team of misfits, and to his day I get a thrill whenever they appear. Years later when I started to actually have a little money of my own; I started buying lots of comics, beginning with Marvel's Transformers, because I loved the toys. Then I expanded into other Marvel books, mostly X-books, then on to DC stuff such as the Bat-books and the Legion. The Legion at that time was in the middle of the “Five Years Later” period, so it was very odd to me. 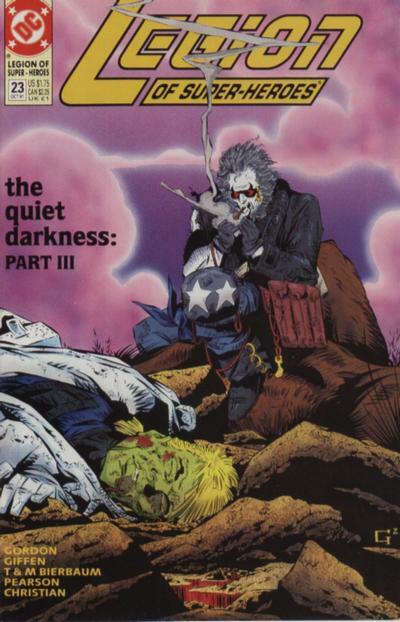 The first issue I remember picking up was Legion of Superheroes v4 #23 (1991), which had a Lobo appearance and was part 3 of “The Quiet Darkness”. Not a great starting point! Nevertheless, I kept checking it out and then Zero Hour happened and the Legion books had a crossover called “End of an Era” which featured characters and plot points from their entire history and though I was unfamiliar with most of it, I was intrigued and wanted to know more! 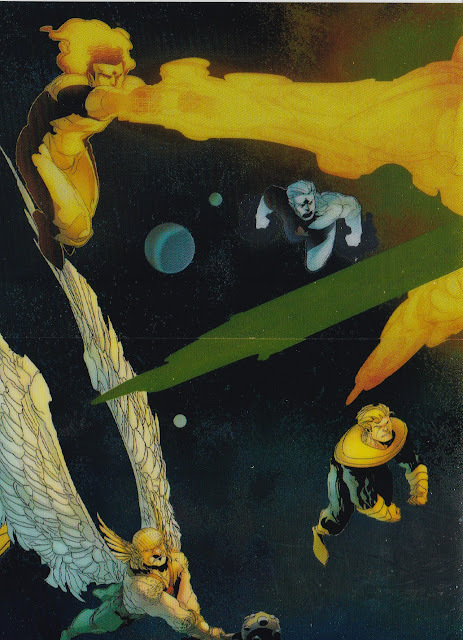 Also around this time I got into Starman, The Spectre and The Sandman. These three comics were some of the best written stories I had ever read, and made me big fans of the creators. So I started looking for more books by them. Looking for more books by John Ostrander lead me to Suicide Squad. Now I had decided to begin looking for back issues of the Squad at some point, and right around then I went on a family vacation. While on vacation, we stopped in some little town for my mom to check out an arts and crafts fair. I noticed a used book store near there and when I went in, I found an almost complete collection of Ostrander’s run on Suicide Squad! The owner sold me the whole set for $10. That, my friends, is getting lucky. 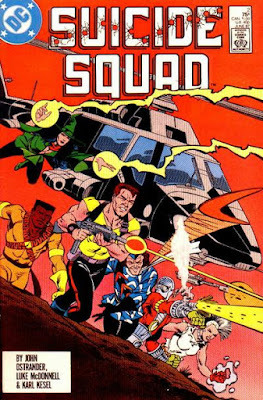 I devoured those Suicide Squad comics and fell in love with the characters. 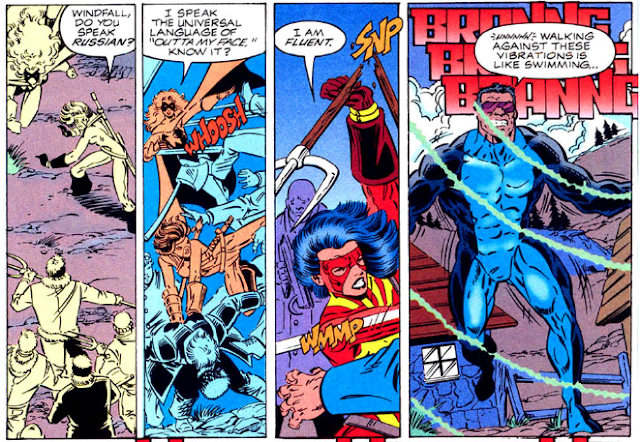 Deadshot, Bronze Tiger, Boomerbutt and the Wall are still some of my all-time favorite comics characters. Since then I have read so many amazing DC comics. One time I read Alan Moore/Dave Gibbon's Watchmen, Frank Miller's Dark Knight Returns and Crisis on Infinite Earths all in one week. That blew my mind. I eventually read Jack Kirby’s Fourth World saga, Grant Morrison’s everything, Wolfman/Perez’s Teen Titans, and so many other great runs. 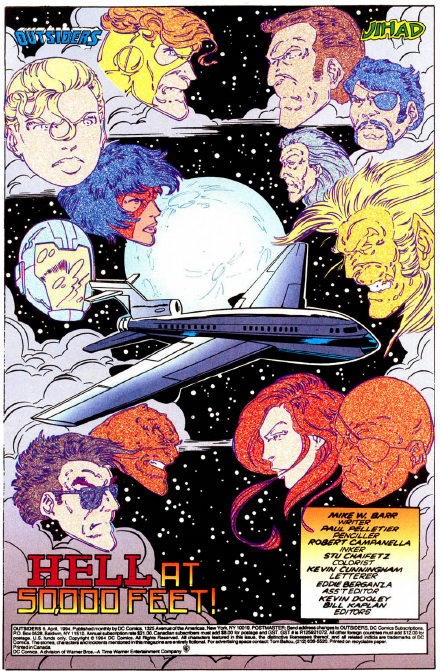 I also went back and tracked down every single Legion of Super-Heroes story. Now, I don’t own every individual Silver Age issue, but I at least own the reprints in the Legion Archives volumes. DC80s: Thank you for chatting with us today, Travis. We're looking forward to any other DC-centric commissions you pick in the future and we plan on keeping an eye on your Comic Art Gallery. 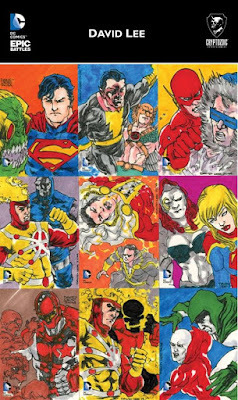 DC in the 80s: How long have you been collecting original art/commissions? Travis Ellisor: Well, I‘ve been a big fan of comics and comic art since I was a little kid. As more artists started putting their work on the internet, I became an even bigger fan of the art itself. 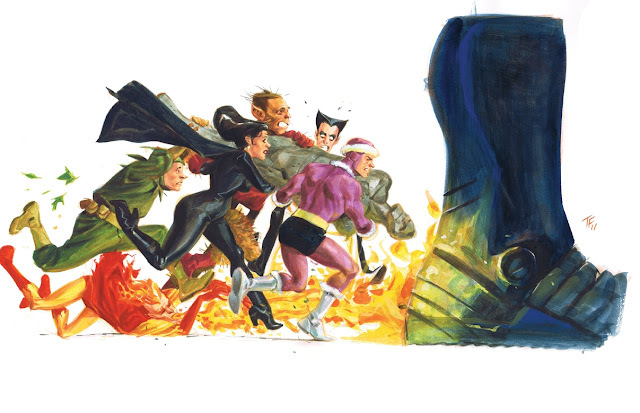 I especially loved process pieces, seeing the pencils, inks and colors in stages. I began following many of my favorite artists online, and that’s when I began to learn about commissions. Many collectors seemed to have themes, and some had very interesting ideas and pairings of characters that you’ll likely never see in published comics. 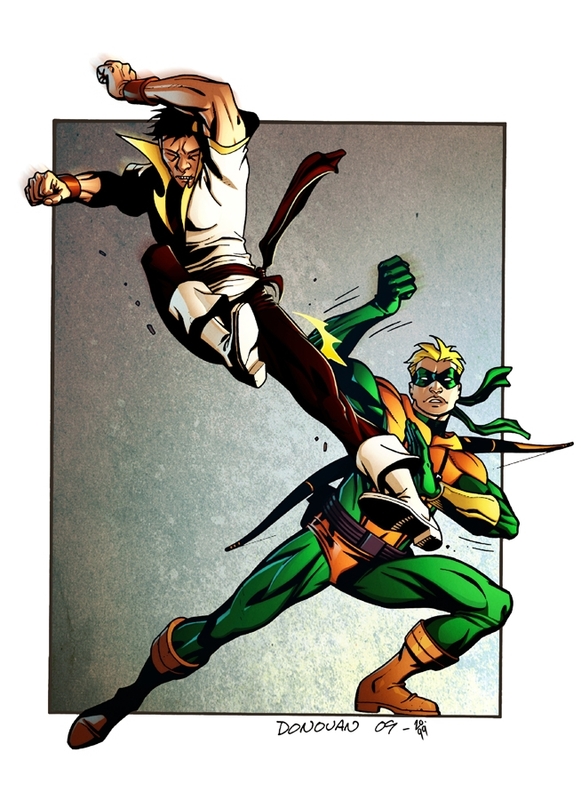 My first commission was of Karate Kid fighting Green Arrow (Connor Hawke), drawn by Derec Donovanin in 2009. Derec had posted on deviantART (a website featuring many artists) that he was currently taking commissions and I figured that he would be a great artist to start with. I was a big Green Arrow fan, and Derec had drawn a fantastic-looking Connor Hawke miniseries. 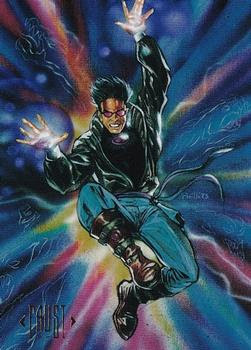 Also, I am a HUGE Legion of Super-Heroes fan, and Karate Kid is my favorite member. Since Connor Hawke was such a great martial artist, I thought it would be cool to put him in a match-up with Val Armorr. Derec was all for the idea and delivered a fantastic piece to me shortly afterwards. In fact, I liked the commission so much that I decided that "Karate Kid vs." would be the major theme for my collection. 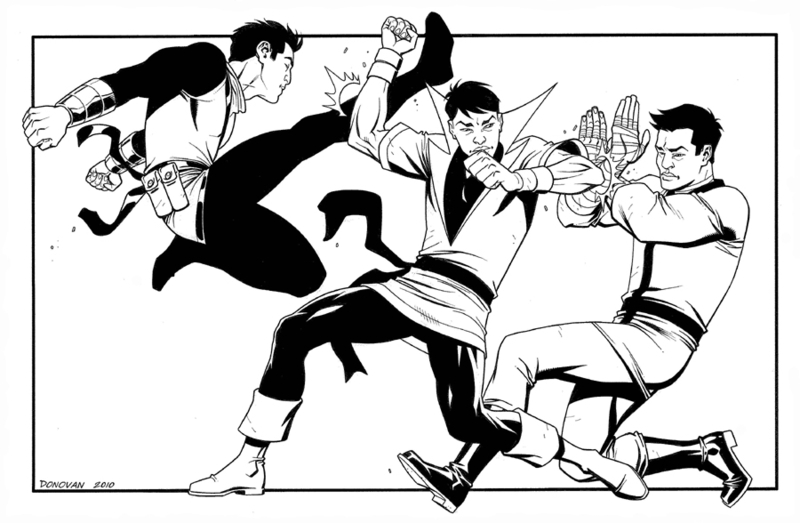 And now I have over a hundred Karate Kid commissions! Also, I should point out that working with Derec Donovan on that commission was such a great experience that it lead to me commissioning him many more times, and we have since become friends. It’s always cool when your favorite artists turn out to be nice people. I highly recommend Derec to anyone interested in commissions. In fact, most of the artists I’ve commissioned are just incredibly nice, cool people. 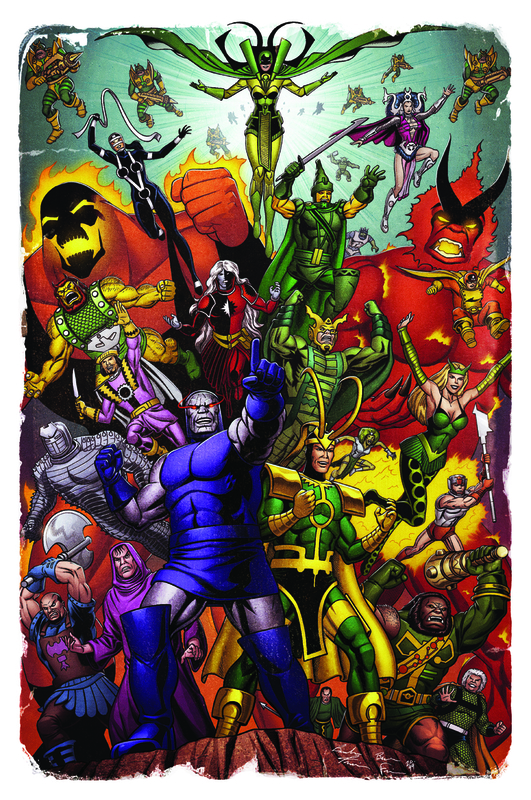 Mike McKone, Chris Batista, Evan Shaner, Norm Breyfogle, Phil Hester, Steven Butler, Tim Lattie, Tom Fowler, Gene Gonzales, Mike Rooth, Dave Stokes, Andrew MacLean, Mike Hawthorne, Brian Churilla, Jay Fosgitt, Andy Kuhn, Ron Salas, Nick Pitarra, Joel Carroll, Scott Wegener, Chad Thomas, Cory Smith, Kyle Starks, Nathan Stockman, well I could on for a while, but you get the idea. There are many awesome, friendly artists out there. It’s also really cool when you discover an artist’s work before they get big. For instance, seeing James Harren become such a major talent, and knowing that I already had three commissions from him. It’s like knowing about a band before they sign a major record label deal and get mega-popular. I’ve had that happen a few times now. I would say that I have an eye for artistic talent, but that sounds like bragging. DC80s: What's the most that you've paid for a commission? 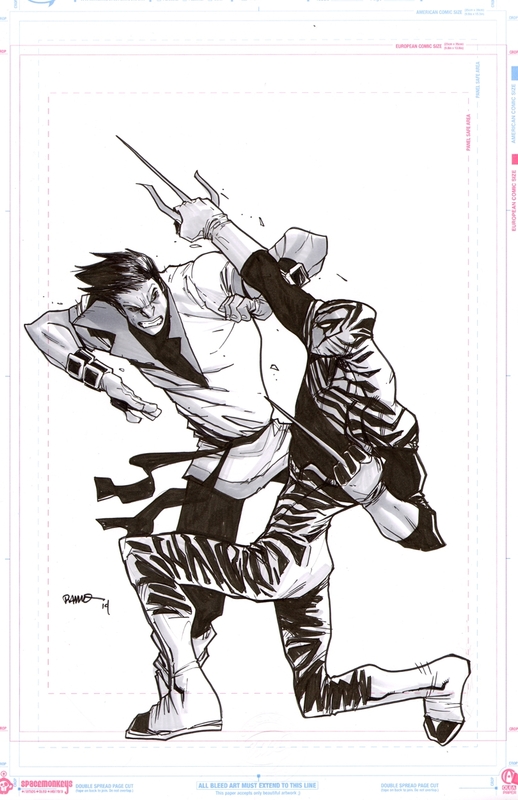 Ellisor: I *think* that my most expensive piece is my Karate Kid vs. Bengal commission that Humberto Ramos drew for me. But my memory about that stuff is horrible. I do remember that it was expensive, but oh so worth it! I set that one up with his agent Joseph Damon and picked it up at a convention in New Orleans. They were both great to work with. My most inexpensive pieces would be the ones that I’ve gotten for free. Sometimes an artist will throw in a free sketch or page when they think that they took too long on a commission, which is cool but unnecessary. Or an artist might do a sketch for free just because I’ve been a good repeat customer to them. I also once got a sketch for paying for a guy’s dinner one night after a convention. Digital colors are another kind of commission that I sometimes get, when I really want to see a piece colored. Simon Gough has been my main go-to guy for that, and he always does incredible work, putting a lot of thought into how he colors each piece. He is amazing. 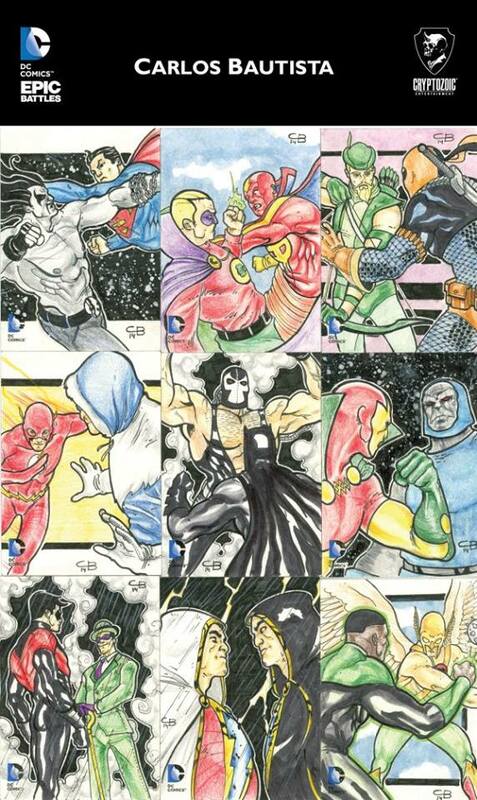 Jeremiah Skipper has colored a few commissions for me as well, and he is another great up and coming talent. DC80s: How do you store your commissions/original art? Do you sell or trade them, and if so how does that work? Ellisor: Framing is expensive and my wall space is limited, so most of my art is stored in binders. You can find them at most art supply stores, or order them online through companies like Blick Art Materials. And I’ve never sold any of my commissions, though I have had an offer or two. DC80s: I'm understanding that you plunged into this 'buying commissions/original comic art' thing on your own. Can you tell us about any hard lessons learned or missteps you took along the way? Any advice you can give to anyone who is thinking about taking up this hobby? Ellisor: One of the first things I learned about setting up a commission, particularly through e-mails, is to be VERY clear about what you want. And make sure you ALWAYS provide reference. Artists usually have a good idea of what characters look like, but even they forget the details of a lot of costumes. And most characters have worn many costumes, so providing reference helps to ensure that you get what you want. Also, there are many Spider-Men, Robins, Green Lanterns, etc. nowadays so be very clear about which character in particular that you want drawn. Be sure to give the artist some freedom to work his or her magic. For instance, I’ll ask them to draw, say, Karate Kid vs. Galactus, but that’s all the detail I’ll go into. I don’t ask for specific fight choreography or anything like that. These guys know what they’re doing and most of them have great imaginations. Give them freedom and they’ll often amaze you. As for prices, well, that’s up to each commissioner as to how much they want to spend. If an artist is too expensive, let it go and don’t try to haggle. But if you really want a commission from them, then save up for it. Some years I get a lot of commissions, some years hardly any. Everyone has to follow their own budget. Many artists have commission prices listed on their websites and most of them who have art agents will have their rates listed on the agent’s site. Google whichever artist you’re looking for, and you’ll usually find the information you’re looking for. If not, e-mail them through their website or contact them via social media. Almost every artist in the industry is online in some form or another. If you set up a commission online to be mailed to you, be prepared to be patient. In my experience, almost all commissions take longer than the artist estimates. This can happen because of many factors, both personal and professional. They have careers and families that come first, and you have to respect that. But I have generally found that they almost all come through in the end, and the commission ends up being worth the wait. If you’re suspicious of an artist’s reputation with commissions, do some research or ask about them on some original comic art collecting forums. Or Google "Deadbeats In Commissions". If you’re really concerned about the reliability of the artist but still want to give it a try, just don’t pay up-front. Tell them you won’t pay until you see a picture or low-res scan of the finished commission. Or offer to pay half up-front, and half on completion. You should be able to work something out. And if not, move on. If you plan on commissioning an artist at a convention, make sure you find them very early in the show. This makes sure that they have time to actually draw your commission, and a lot of artists have sketch lists for their shows which fill up quickly. And bring cash. Some artists are equipped to take payments in other forms, like credit cards, but cash is always welcome. 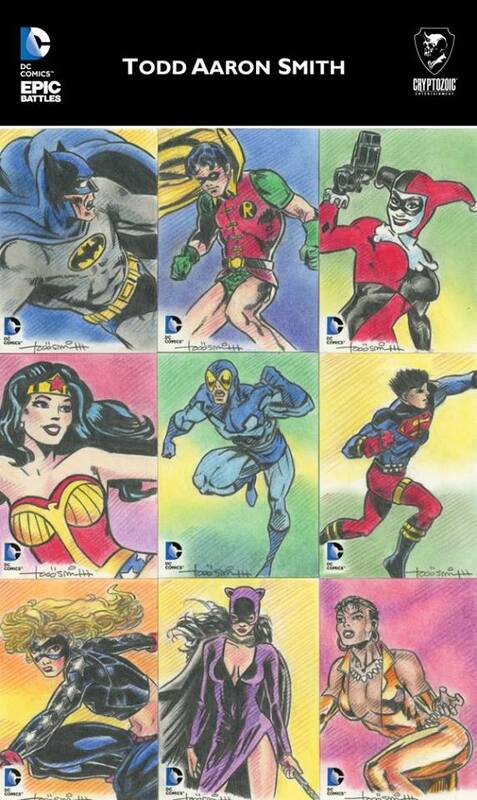 DC80s: If you're buying a commission/original comic art from a third party dealer (ex: someone on e-bay who's NOT the artist), is there a way to verify that's it legit? That it's not a counterfeit or forgery? Ellisor: It's difficult to be 100% sure on those things. Personally, I'd start off by closely examining the scan and comparing it to the published work. If the seller is only providing a low-res picture of the art, I wouldn't trust it. If possible, ask the artist themselves about it. Most artists can be contacted online and many don't mind verifying things like this (I see it happen on social media from time to time). If the artist can't be contacted, ask some experts, such as fellow collectors or art dealers. And of course, check the seller's feedback ratings. If anything doesn't look right, don't take a chance on it. If it looks too good to be true, like a Curt Swan Superman cover going for less than a hundred dollars, don't trust it. 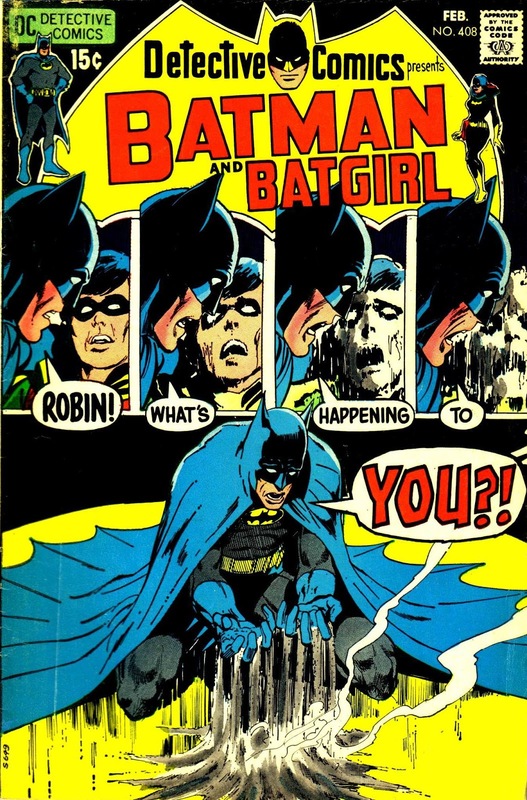 DC80s: As an owner/collector of original comic book art and a curator of a fascinating blog dealing with comic art, can you tell us about the best practices of posting comic art on the internet and why it's important? Ellisor: Well, if you want to post your personal collection, I highly recommend Comic Art Fans. That site is a fantastic resource. You can browse through other people’s collections, and make friends with other collectors there. If you just like comic art and want to share things you’ve found online, ALWAYS credit the artist. They put in a lot of hard work into their art, and they deserve the credit. 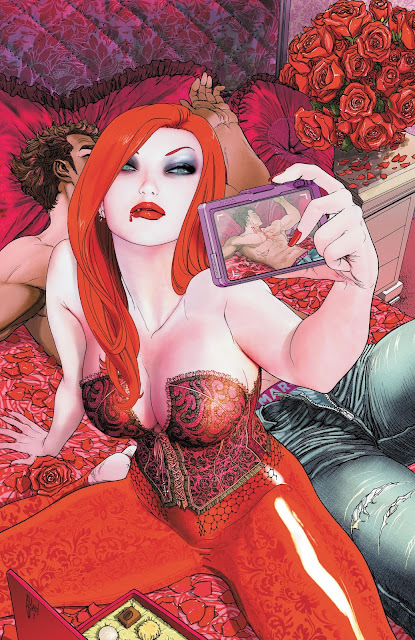 For instance, I love looking at comic art, and one great place for seeing art is Tumblr. But after spending some time on Tumblr, I started noticing a lot of art being posted with no artist credit, or sometimes the wrong artist being credited. 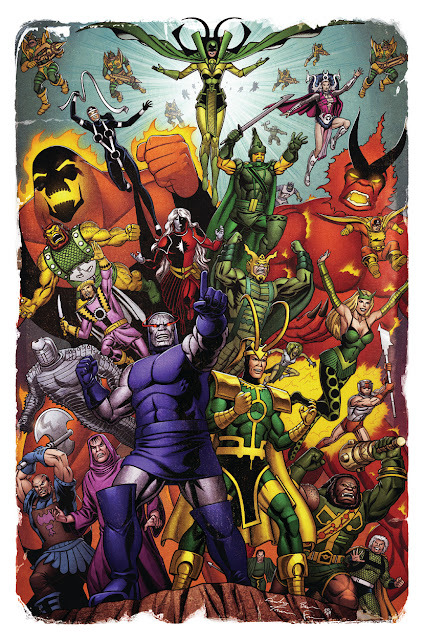 For instance, I once saw a cropped panel of Thanos posted on Tumblr that only said “George Perez” below it. The first thing that bothered me was that the drawing was obviously not by Perez, but by Jim Starlin and Al Milgrom. And the issue the drawing was from should have been credited. Because hey, if someone likes the art, they might want to check out the comic it’s from! Now this stuff might not bother some people, but it bothered me. 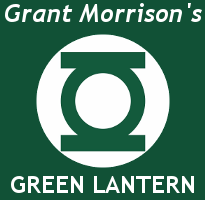 So, I started my own Tumblr at Mostly Comic Art tumblr blog where I post comic art from throughout comics history. I spend so much time browsing comic art online, I figured I could at least spread the love. This article has run a little longer than expected. In our second article, we interview Travis Ellisor about his favorite commissioned comic book original art from his personal collection and how he first got into comics. Needless to say, our next article is going to be very image-heavy with some never-before-seen original comic book art, so stayed tuned for that. 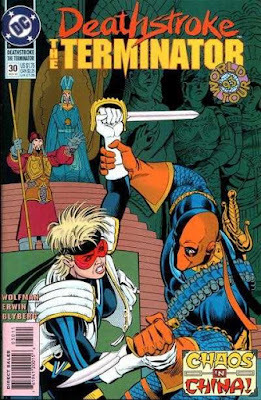 Comic book illustrator Steve Erwin is best known for his work on 1991's Deathstroke the Terminator v1 and 1988's Checkmate! v1 ongoing series for DC comics. 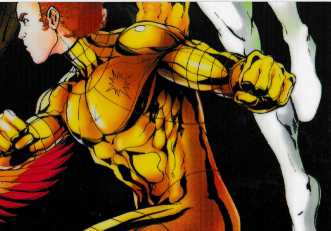 You may also recognize him from the six issues of Shatter he pencilled for First Comics in 1986. Reggie Francia had the chance to chat with Erwin about his inspirations, what he would've done differently with Deathstroke and Checkmate, and potential plans DC comics had for Star Trek comics before they lost the license. Reggie Francia: You became a comic fan at a very young age. which comic book made you want to be an artist? Steve Erwin: Hmm. I don't know that there was ONE, either a single issue or title. I enjoyed comics for years before ever thinking about wanting to draw them, or even to be an artist. My teachers and classmates were my biggest influence to be an artist, actually. In third grade or so, I started getting heaps of praise on my art projects, asked to be the lead creative person on classroom art displays, that kind of thing. So becoming an artist of some kind came first, it's something I always wanted to do. I think it was a combination of Gene Colan/Tom Palmer's Daredevil and Neal Adams' Batman stories that won my heart in junior high to aspiring (dreaming) to be a comic book artist. 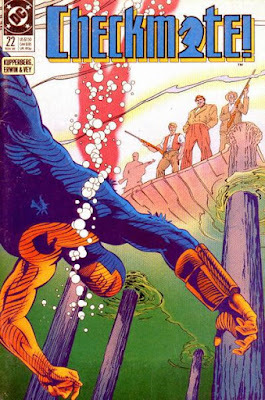 Francia: You're mostly known for your work on Deathstroke the Terminator v1 (1991) and Checkmate v1 (1988), if you had to write those books yourself did you have ideas on where you wanted the story to go? What would be volume two for those books? Erwin: Literally speaking, back in the day, what I liked best about working on those books was that we went everywhere. Globally. We weren't stuck in any one location, like Gotham City or Metropolis. If I were to write and draw either title, that would remain the same. As far as a direction for story purposes, I don't know that I would write Deathstroke the Terminator any differently than Marv Wolfman did (just not as well). He wrote great stories and gave me a free hand with the action. 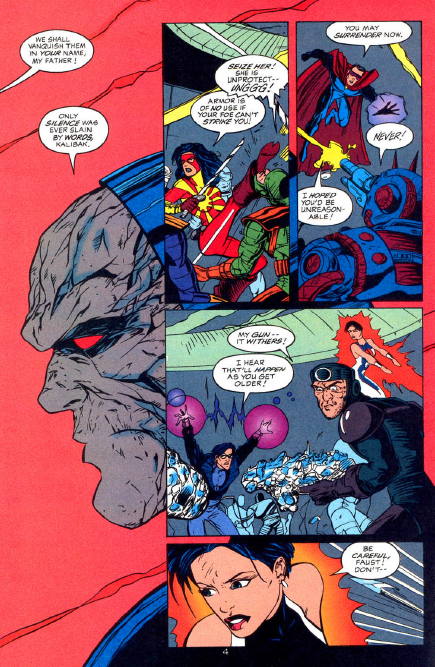 As far as I'm concerned, he had the hard part of putting Slade into interesting situations to build the stories around. Off the cuff, Volume 2 would be Slade Wilson on the run from the DC Universe. Since I haven't read the title in a while, I don't know if this has already occurred, but it seems like a fun idea. 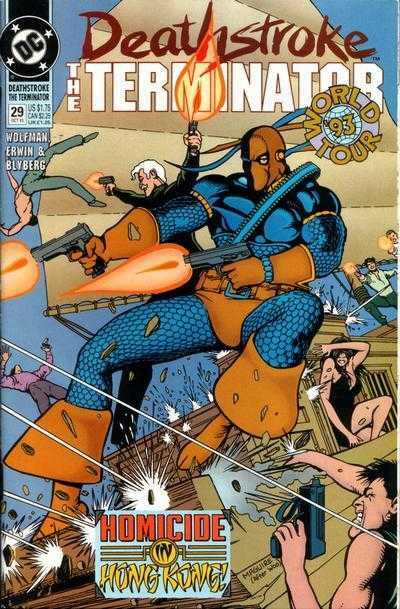 Like a Presidential assassination (or attempt), and Deathstroke is blamed. He's forced underground to evade capture and to uncover who is actually to blame. Each issue, he confronts/evades/defeats a different DC hero. Marketing-wise, that could generate a lot of crossovers, too. I would do something like that. For Checkmate, I would go back to the basics we started with: an off-the-record, under the radar anti-terrorist agency. 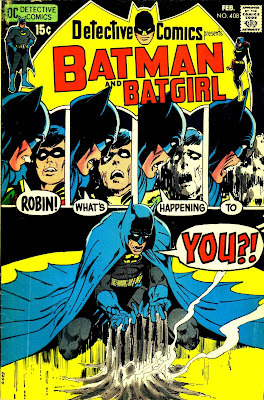 Paul Kupperberg had a knack for being ahead of the curve, as it turned out. Some of our storylines have an eerie similarity to events post 9/11. And before, come to think of it; the original Twin Towers bombing in the 90's was very similar to our first story uncovering a plot to bring down Sears Tower in Chicago. To be clear, in real life, I don't think that I would approve of an organization like Checkmate that skirts the Constitution in taking down terrorists, even though I may understand the necessity. Kind of like the Guantanamo Bay controversy of housing prisoners on foreign soil to circumvent Constitutional protections of due process. That aspect alone makes for some interesting questions to build stories around. Francia: Your action sequences are awesome. It's like watching a nice action movie that you can follow the flow... like The Bourne Identity without the shaky cam. Where did you get your inspiration from? Was there a particular artist or from art school? Erwin: Indirectly, it was advice I learned from Jim Steranko at a seminar he taught in Dallas: 'use cinema as your visual basis in comics storytelling'. He was referring broadly, from composition to lighting to storyboarding, or the act of telling the stories visually. I watched action sequences in movies and translated those moves into static panels. Tom Sutton did action sequences in odd-shaped and off-set panels which was very effective in creating the illusion of motion. I studied what he did and tried to analyze the thinking behind it. 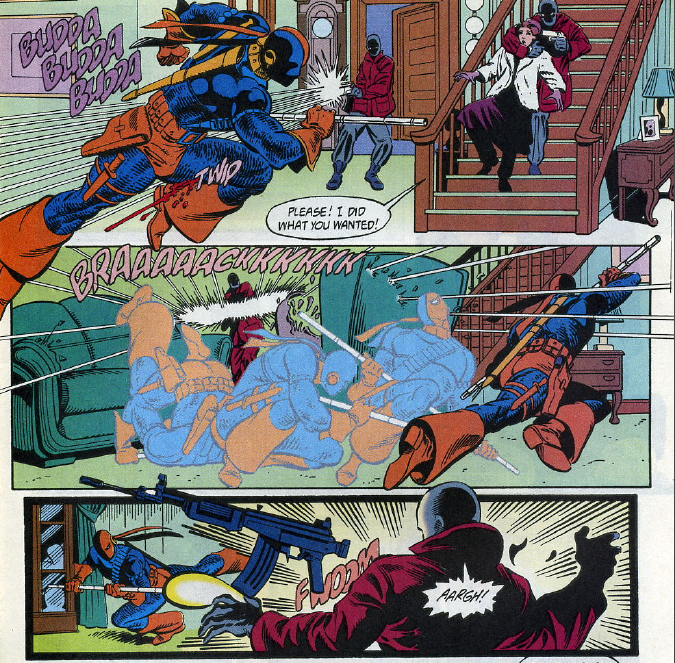 The most direct connection would be Frank Miller's Daredevil, especially the "ghosted" multi-figures moving through fight scene panels. Carmine Infantino did it first way back in The Flash in the 60's, but Frank Miller's action was fresher in my mind. Erwin: It almost happened with Star Trek at DC. 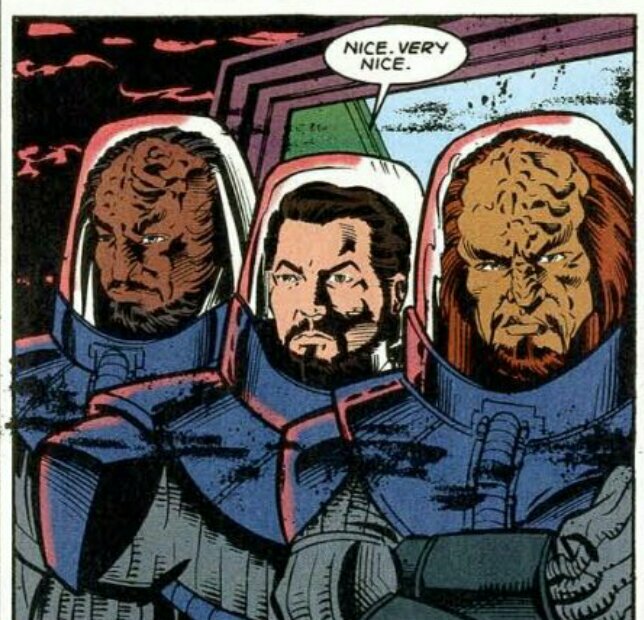 Yes, I got to draw Kirk and company in the movie era and the original series era, as well as The Next Generation cast and a Deep Space Nine story. But what was to come before DC's license went away was so cool - literally The Dream Book for this Trekkie. I was going to pencil the main Star Trek title, which would alternate between original series era and movie era stories, written by science fiction writers known for their Star Trek novels. As I understand it, some stories would be adaptations of the novels. How cool would that have been? What would my Dream Book be today? It would be truly different from anything I've done previously. It's something I've been wanting to do for ages but keep procrastinating on how to proceed. It would be an online comics telling of the story of the Texas Revolution. I've always found it a fascinating story, and the more I read about it the more fascinating it gets. Even little things, like unusual weather patterns, that I have seen repeated over the last decade or so. My approach would be telling the story through the eyes of a group of young people caught up in the events. One of these days. Francia: Do any of your kids show any interest in becoming an artist like you? Erwin: Funny you should ask. My daughter is in her last year at UT Arlington as a graphic arts major. She grew up going to conventions and book signings with me, not to mention watching me draw all the time, so the influence was certainly there. She's recently taken a class assignment and turned it into a children's book, self-published on Blurb. 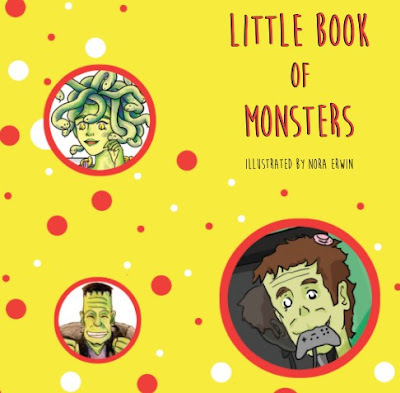 It's a "Good Night, Moon" kind of book in feel, but written with quotes from Bob Ross and illustrated with very friendly looking monsters. Francia: Thank you for your time! Erwin: Thank you for your interest. *Reggie Francia had previously interviewed Steve Erwin about his work on Checkmate! v1 (1988). Check it out here. Outsiders v2 hit the comic book stands in late 1993. 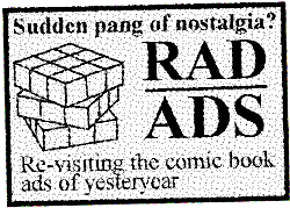 As it happens, 1993 was a tumultuous year in comics: Valiant comics was at a fever pitch, Image comics was in it's second year of publication and churning out massively hyped creator-owned titles, Malibu Comics decided to jump into the fray and launch it's Ultraverse line of books, and new comic book publishing companies [Topps, Bongo Comics, Triumphant Comics, etc] had popped up trying to snag a share of that comic collector's valuable dollar. Where was Marvel and DC comics in all of this? X-Men, Superman, and Batman were still dominating the market, but their *other* books may have been passed over for the 'flashier' competition... and that's one of the biggest challenges Outsiders v2 had to face. 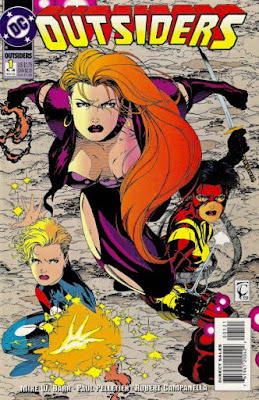 A glut of comic books being released wasn't the only thing happening in 1993 — we were starting to see the rise of gimmick covers and extreme revamps of classic characters/teams to keep collectors interested. The former, I'm assuming, was to have a fighting chance of getting spotted on an overly-crowded comic book rack, and the latter was to keep up with Image Comic's 'extreme everything' that seemed to be all the rage among collectors (and Wizard Magazine). Back then, at a glance, I wouldn't have recognized half of the characters on the cover(s) of issue(s) #1, and probably just dismissed it as an 'extreme revamp' of a classic DC team for a new audience. 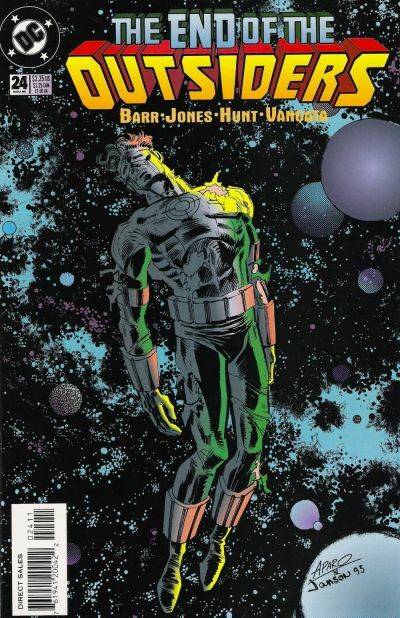 The cover art (pencilled by Travis Charest) was very... Image-esque and not something ordinarily seen on a DC cover. Having two #1 issues was a bit of a trip, too. 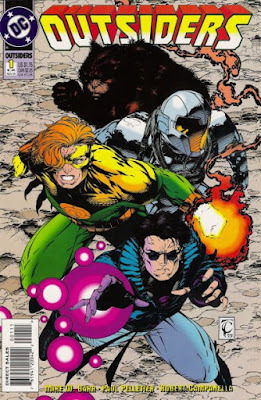 Unlike Jim Lee's X-Men #1 (1991), which had five different variant covers, Outsiders v2 had two different #1 issues (Alpha and Omega) which told the same story from two different points of view (and sported a different cover depending on which characters were featured in the issue). I can see the appeal of having two #1 issues for collectors to collect, but it may have been confusing to anyone who didn't realize each issue contained a different story. I can't remember these being released with foil-embossed covers or anything (the copies I'm holding in my hands are pretty standard fare), but both covers joined to form a diptych to complete the whole team roster — so I guess this was the gimmick in and of itself. Buyer Beware: the art on the inside of the book does NOT match with what's on the cover of the #1 issues. Paul Pelletier pencilled the first 19 issues (plus the 'zero issue') of this ongoing series and Robert Campanella inked over Pelletier's pencils. Prior to his work on Outsiders v2, Pelletier was know for his lengthy run as penciller on Malibu's Ex-Mutants and a few issues of Marvel's Incredible Hulk. 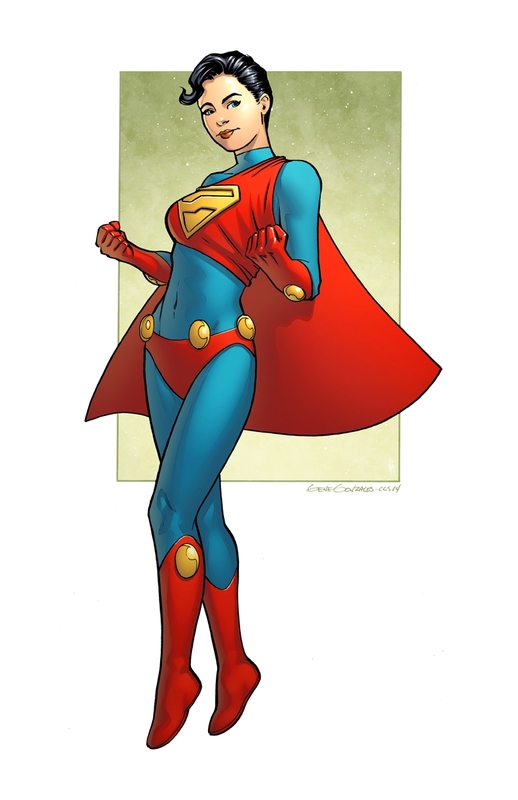 Campanella had previously inked Suicide Squad, Wanderers, and Wonder Woman. Together, the duo brought a look that was quite reminiscent of Erik Larsen's work on the tail end of Outsiders v1 - a look that was somewhat cartoony (e.g. exaggerated jaw lines, overly expressive facial features), but still worked with the mood of the book. Readers were claiming that Pelletier's work was very reminiscent of a young Alan Davis' work (which, honestly, I just didn't see). 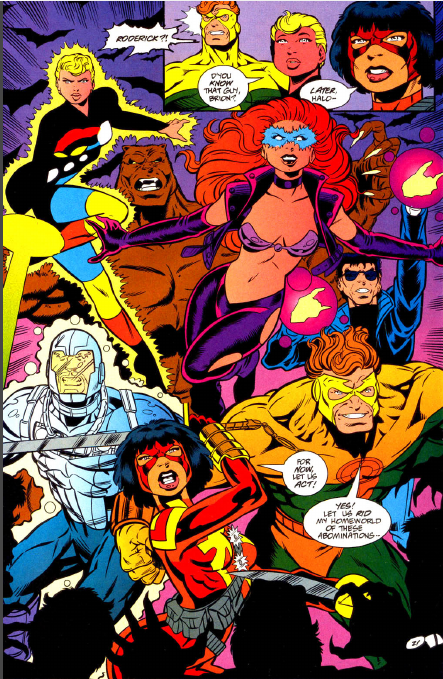 The NEW Outsiders v2 roster consists of Halo, Looker, Katana, Geo-Force and three NEW characters who debuted in issue #1. 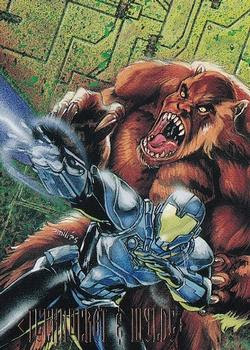 Halo, Looker, Katana and Geo-Force were all co-created by Mike W Barr in the original series. [You probably didn't recognize Looker on the cover of issue #1 because her eyes weren't glowing blue. I know I didn't.] Faust (a sorcerer), Technocrat (a man with a cybernetic suit of armor)and Wylde (a human/bear hybrid) were created by Barr and Pelletier for this series. 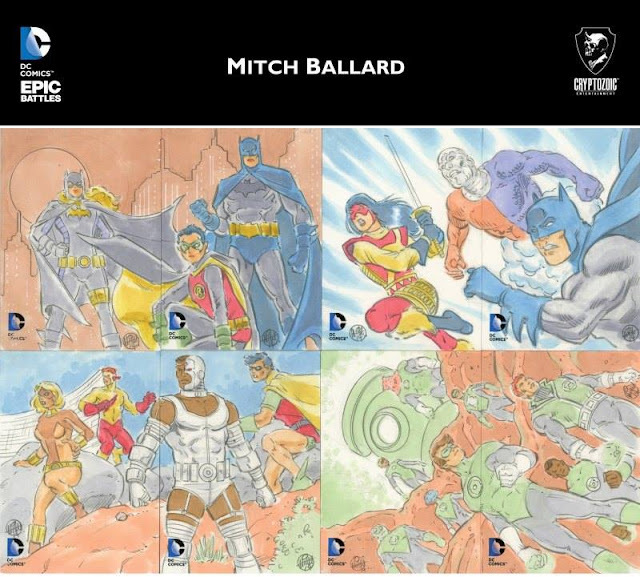 Why weren't Metamorpho and Black Lightning included in this line-up? When this ongoing series was debuting, Metamorpho was finishing up his own mini-series and was still an active player in Justice League International v2, meanwhile Black Lightning was mysteriously absent from the DCU at the time. My best guess is that Tony Isabella (the creator of Black Lightning) was still disputing with DC over the rights to the character*. Metamorpho was originally created by Bob Haney and Ramona Fradon. Maybe the big take-away here is that Barr likes to write characters he had a hand in creating? So, where's the 80s connection I was alluding to in my opening paragraph? Well, this ongoing series picks up after the events of The Outsiders v1 #28 (1988) in which Halo ends up in a coma and Looker is de-powered. This new series opens with Halo being revived from her coma and Looker gaining her powers again — it's like nothing had changed since we last left the team! (Except for the newly resurrected Metamorpho who is now a member of Justice League International, the unexplained absence of Black Lightning and Windfall, and there's a continuity snafu in which a fully-powered Looker assists Batman in defeating the Mudpack in Detective Comics #604 - #607 (1989), but let's overlook that for now). There are currently no Outsiders v2 reprint collected versions, so, unless you were lucky enough to obtain the single issues at a flea market as I have, you're going to have a hard time finding these issues. Keep reading if you want to hear SPOILERS. Here's an extremely brief synopsis of the series: the previous Outsiders (sans Black Lightning, Metamorpho, Windfall and Atomic Knight) meet together for a ceremonial event in Markovia (small Eastern European country. think: Belgium) and, due to a series of events involving vampires, decide to band together. 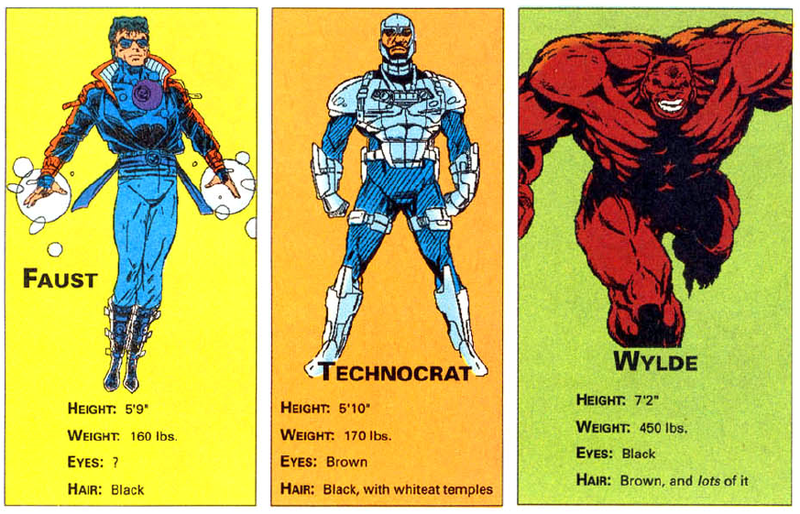 They pick up a few stragglers along the way (Faust, Technocrat and Wylde) and become a team. 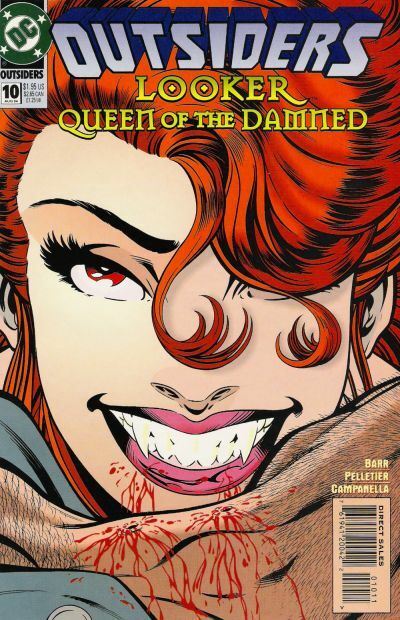 The vampire story arc is resolved by the end of issue #4, and the rest of the series consists of the Outsiders being on the lam while fighting to clear their name, or splitting into two teams with the intent of the "good" team trying to prevent the "bad" team from causing too much damage. As mentioned, this is a mid-90s book and the stories moved pretty fast to keep up with the attention span of readers. Sometimes it moved too fast and there wasn't enough emphasis on character development to really make you want to invest interest in these characters. There's no shortage of action (i.e. 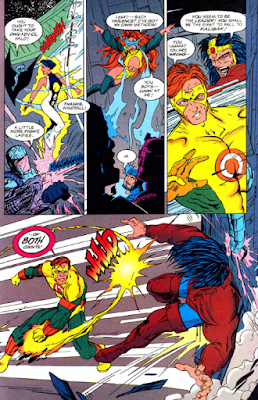 huge fight scenes), nor guest stars in this series - appearances by The Eradicator, Checkmate, Jean Paul Valley as Batman, Superman (with mullet), Lady Shiva, and the New Titans (as well as references to other current titles such as Deathstroke v1 and The Flash v2) continued to remind you that this was a 'totally relevant' series being published in the 1990s. 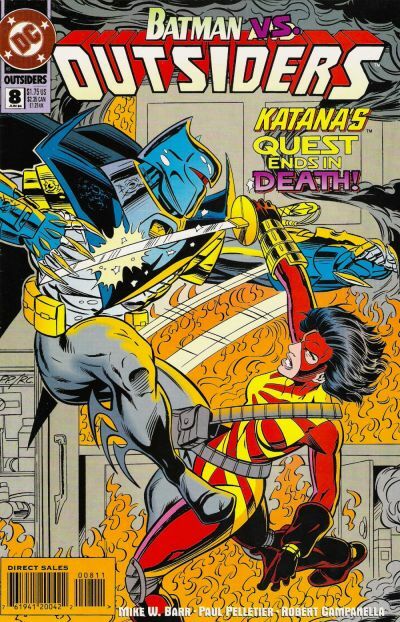 To the creative team's credit, a few 'classic' Outsiders-related villains appear in this series: the Masters of Disasters appear in an issue, and a Kobra splinter-group battle the Outsiders for an issue. Dooley affirms in the letter columns that they were trying to keep Outsiders v2 'fresh' and went to great pains not to keep rehashing the same ol' battles with the same ol' adversaries (in issue #14, he states that the appearance of the Masters of Disaster in issue #9 had caused sales of the series to drop after a long stretch of increased readership) — so we've got stories with the Outsiders battling Felix Faust, Eclipso, the Jihad (Suicide Squad villains, remember them? 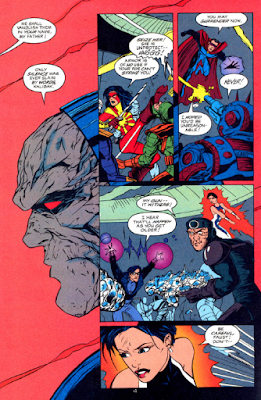 ), and Darkseid's forces. Actually, the Outsiders battling the Jihad was one of the more memorable issues in this series. The Outsiders battle the Jihad in Outsiders v2 #6 (1994). At least two Jihad members get killed off. This series is easy to read and doesn't require great intellectual effort to follow. Most mail from readers were usually a mix of "where is Black Lightning/Metamorpho/Windfall/Atomic Knight? Please have them rejoin the team", "why did you kill of Looker? she was my favorite", "please add Creeper/Blue Devil/Blue Jay/Firehawk/[insert other obscure DC character here] to the Outsiders roster", and "why did you change Halo's outfit/hairdo? please change it back". 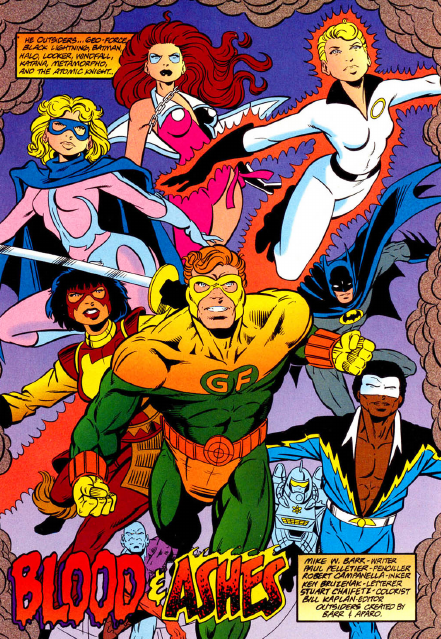 If for no other reason than to give the readers what they want, the Outsiders do meet up with Metamorpho in an issue, Windfall does rejoin the team and Atomic Knight becomes a recurring character (so we may as well just go ahead and consider him as a member of the team). It is later revealed by issue #10 that Looker is not actually dead, but is now a vampire [more on that later]. 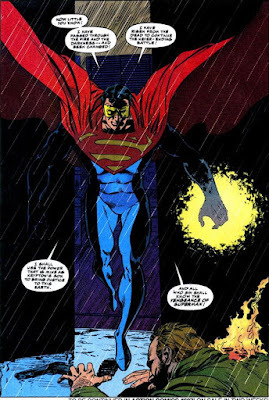 Something notable about this ongoing series was that it gave the Eradicator considerable attention since his 'death' in Reign of the Supermen and resurrection in Action Comics #693 (1993). The Outsiders battle the Eradicator early in the series, and he becomes a team member several issues later (and would stay with the team until the end of the series). Barr's interpretation of the Eradicator is a 'take no prisoners' energy being who just wants to punish the guilty. 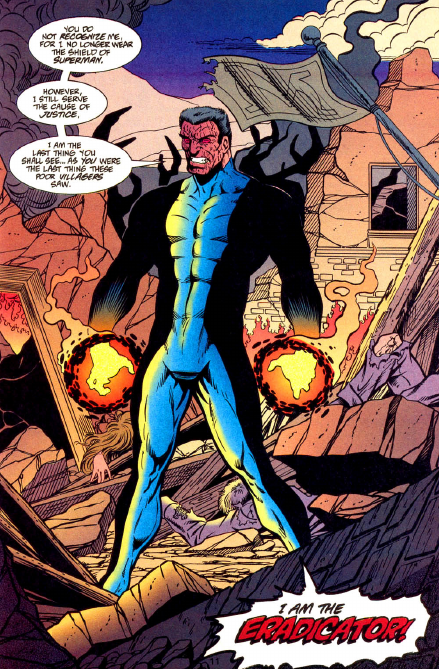 One would assume that this would get tired very quickly, but I found the Eradicator to be one of the more interesting characters in the series — but this may be because he was one of my favorite 'false' Supermen from the Reign of story line. By the last issue of Outsiders v2, Eradicator had quickly been snatched up by Superboy, Supergirl, Alpha Centurion and Steel to embark on a new story arc that was more interesting than whatever the Outsiders were doing at the time. This series did NOT have the Comics Code Authority seal on the cover. This may have had something to do with the accumulated body count the Outsiders had racked up — Wylde, Katana and Eradicator had no qualms about killing opponents. (Vampires need to feed on blood to survive, hence Looker the vampire was killing opponents off panel and drinking their blood. This was the extreme 90s, what other reason do you need?). When asked why there was no CCA seal, Dooley explained in the letter column of issue #22 "It's a long, complicated decision process weighing paper stock choices, possible newsstand versus direct sales, adult content and basically it's something that was decided long before I got here." Why was this series cancelled after 25 issues? The short answer: sales. One of the perks of reviewing/researching a mid-90s book is that some comic book sales data is available online and can provide a bit more insight as to what was going on in the comic book market at the time. Sales for Outsiders v2 were never incredibly strong (they were passed over for an annual - twice) and I'm impressed the series lasted as long as it did. To quote Dooley again: "I am constantly surprised by diehard Outsiders fans. 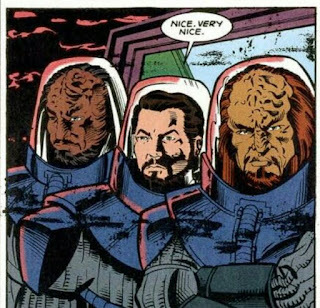 Their loyalty surely rivals that of supporters of LEGION OF SUPER-HEROES (or LOSHers), but they're more exclusive. They've followed the team through trials and trials until their eventual, shall we say, demise." . Based on the interactions Kevin Dooley was having with readers in the letter columns, it was a little difficult to determine who was the main driving force behind the stories — editor Dooley or writer Mike W. Barr? It seemed like the creative team was just throwing ideas at the wall to see what stuck. Dooley was eager for feedback from readers and was often asking how they felt about the new characters introduced, the direction the series was headed and how they felt about issue x, y and z. 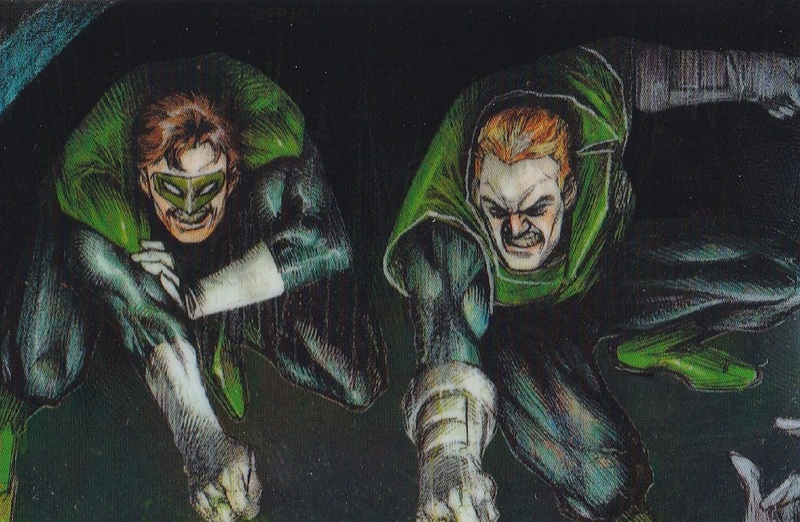 At the time, Dooley was also editor for Green Lantern v2 (particularly the Emerald Twilight storyline), Aquaman v5 (hand replaced with a hook) and Guy Gardner: Warrior (the two former titles experienced an explosion of popularity during Dooley's reign). Dooley was the right man for the job, and had a very definitive idea of how to revitalize a comic book series in order to keep it afloat in a competitive/aggressive comic book market. I'll admit, reading about Azbats battling the Outsiders was not a twist I saw coming and did fill me with nostalgic glee. 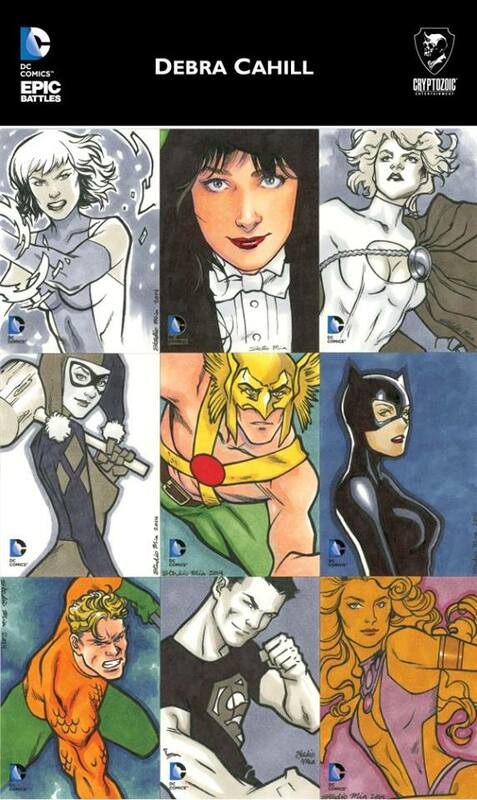 In my opinion, the series died because Outsiders v2 lacked a strong A-list character to bring in readers. 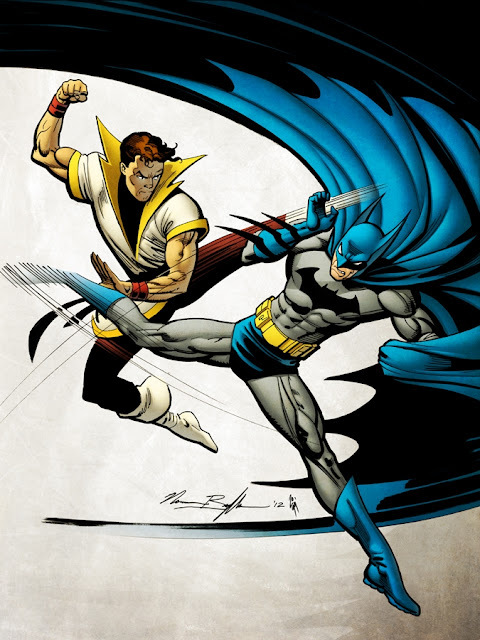 A lot of 80s readers picked up Batman and the Outsiders v1 because it was initially Batman's team, and you could expect to find Batman in the book. There isn't very much that Batman can't sell. The Outsiders v1 (1985) realized this fifteen issues in and quickly re-added Batman to the team. The formula is pretty simple: attract readers with an A-list character, and, via strong character-driven storylines, get them acquainted with the rest of the team. As interesting as the Eradicator was, he wasn't high profile enough to make a new reader want to pick up the book. En masse, most of the characters were a little dull and we didn't get much of an opportunity to get to know them better — it's a little difficult for a writer to dive into too much characterization when a team consists of eight or more characters. 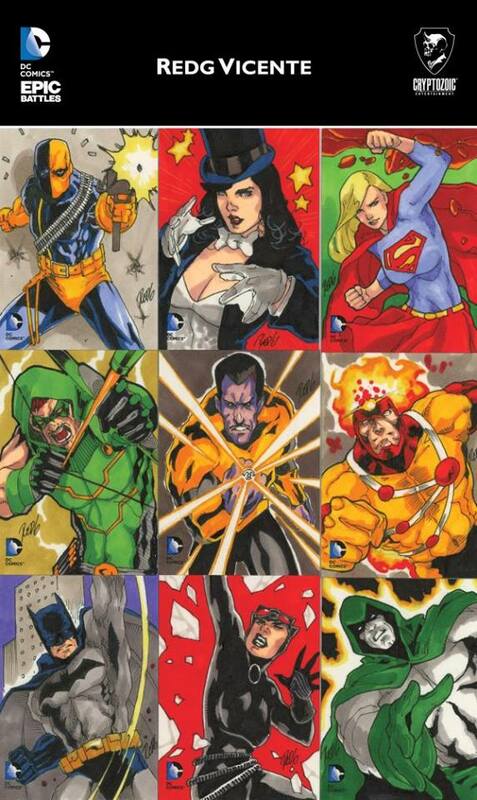 Regular penciller Paul Pelletier left the book after issue #19 (to pencil Green Lantern v2 for Dooley, I'm assuming) and, after a single issue by guest penciller David Ammerman, Casey Jones pencilled the last few issues of the series. Jones' pencils combined with Chad Hunt's inks gave the series a grittier/rougher feel and, daresay, may have re-ignited interest in this series had this creative team started several issues sooner. I've never read Outsiders v3 (2003) or Outsiders v4 (2007), so I honestly can't tell if you if it gets better than this. 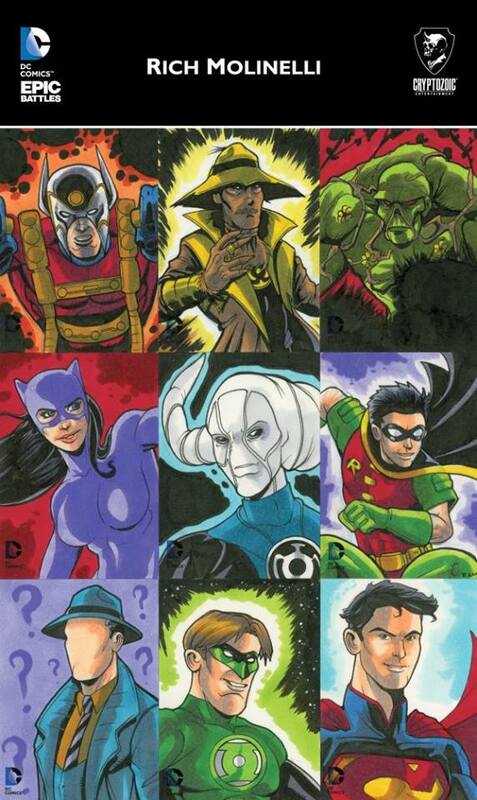 At a glance, the rosters for Outsiders v3 & v4 have none of the original team members, and seems to be more of a Teen Titans spin-off book. At least the Creeper finally got to join. Of the three new Outsiders created for this book, only Faust seemed to have had the staying power to still be remembered twenty years later. 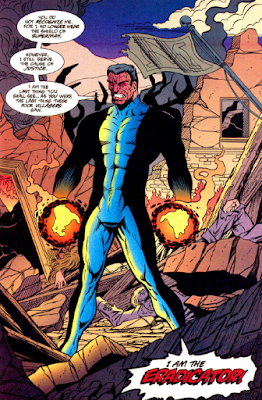 While most fan mail during the series was indecisive about how much they liked Technocrat and Wylde (often comparing the former to Marvel's Iron Man and the latter to a hybrid of Marvel's Hulk and Beast), it was apparent that readers were intrigued with the son of Felix Faust and found him to be one of the most interesting new characters featured in the series (and not just for his relationship with fellow teammate Halo). Once the series was concluded, Faust would become a member of DC's Sentinels of Magic in 1999's Infinite Crisis, while Wylde would never be seen again after issue #19 of the series he debuted in (turning even more bear-like after his appearance in Zero Hour didn't do anything to help his popularity with readers). Technocrat is still alive and kicking (as of this writing), as we last seen him making a brief appearance in Outsiders v4 (2009). 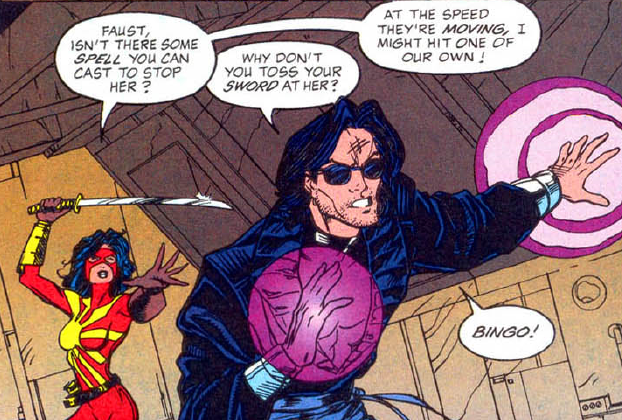 Faust had that cool 'generation x anti-hero' look that made him an instant hit with readers. 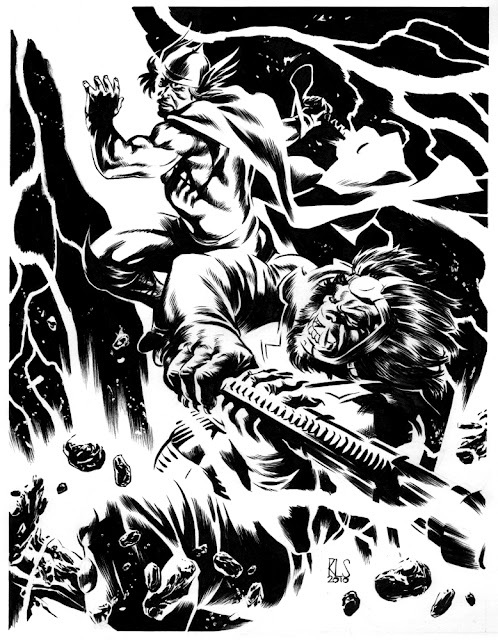 Art by Casey Jones and Chad Hunt. 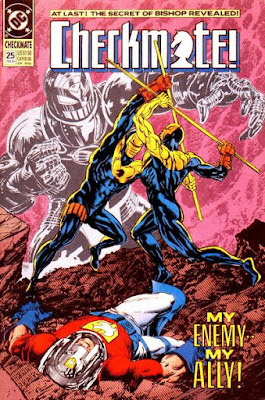 So where was Aparo during Outsiders v2? And that wraps up this review. Hope this article brought back some fond memories (or at least memories). Released in 2014, this was Cryptozoic's fifth DC Comics trading card set. 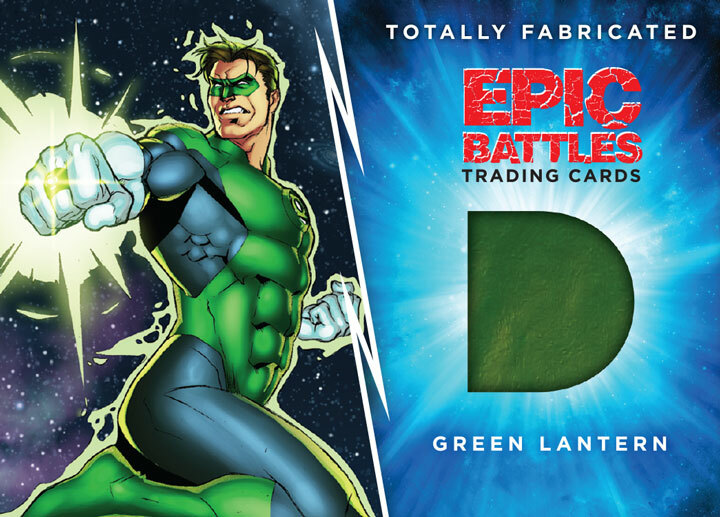 Cryptozoic's DC Comics Epic Battles trading cards are printed on Cryptomium™ cardstock (whereas Cryptozoic trading cards are typically printed on 20pt C2S stock, Cryptomium cards are printed on a 30pt composite foil stock). 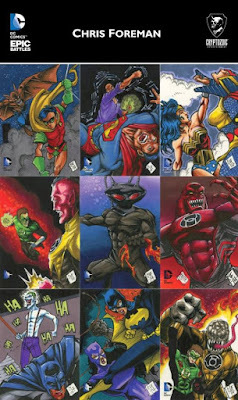 The base cards (63) all feature original art, and form to create seven nine-card puzzles (depicting one of seven major DC Comics storylines). Hence, EPIC battles. Epic Battles is loaded with inserts, chase cards and variants: the BAM! 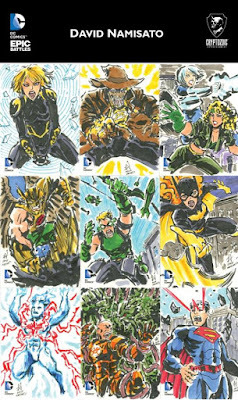 chase set, the Make Believe chase set, Bombshell Bi-Fold chase cards, Totally Fabricated chase cards, Sketch cards, as well as copper, gold and metal variants of the base set cards. How did I first discover this set? About a year ago I was sitting at my computer wishing longingly that DC Comics had released a Zero Hour trading card set in 1994, and decided to google if any Zero Hour cards existed out there that I had somehow overlooked. Lo and behold, Cryptozoic didn't just release a few themed Zero Hour trading cards - you were actually able to assemble them to create a nine-card puzzle depicting a scene from a Zero Hour battle. That pretty much sold me. 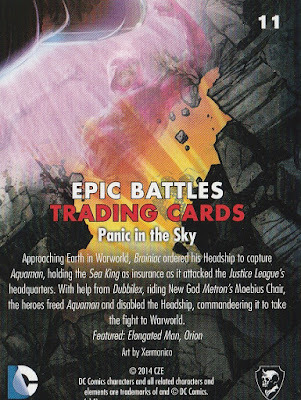 So, my first big surprise was that Cryptozoic decided to spotlight a relatively unknown and often forgotten Superman-themed event (see: Panic in the Sky), as well as a DC cross-over that most fans would rather forget about (see: Bloodlines). 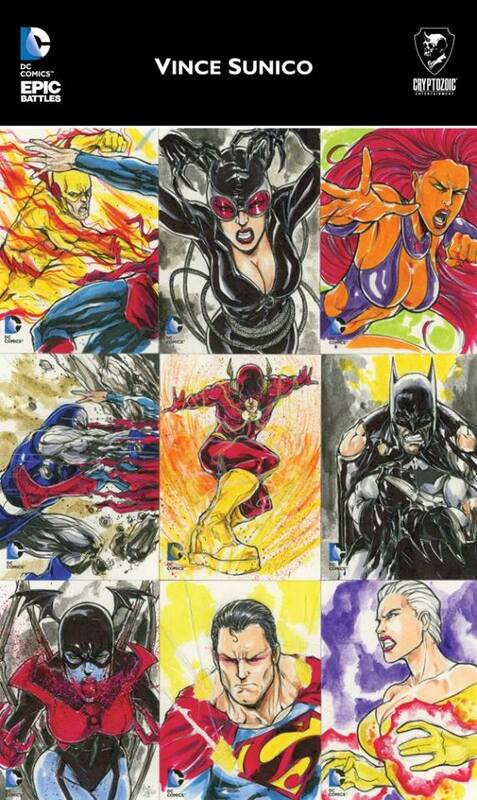 To anyone else, this may appear to be a strike against the card set, but to this DC comics fan - it's a MAJOR plus. As far as I'm concerned, any card company that wants to dig up and showcase an obscure DC event from my youth is a winner in my books. 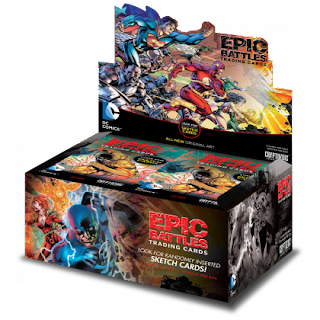 Cryptozoic chose a strong roster of talented artists to illustrate these 9-card Epic Battles. 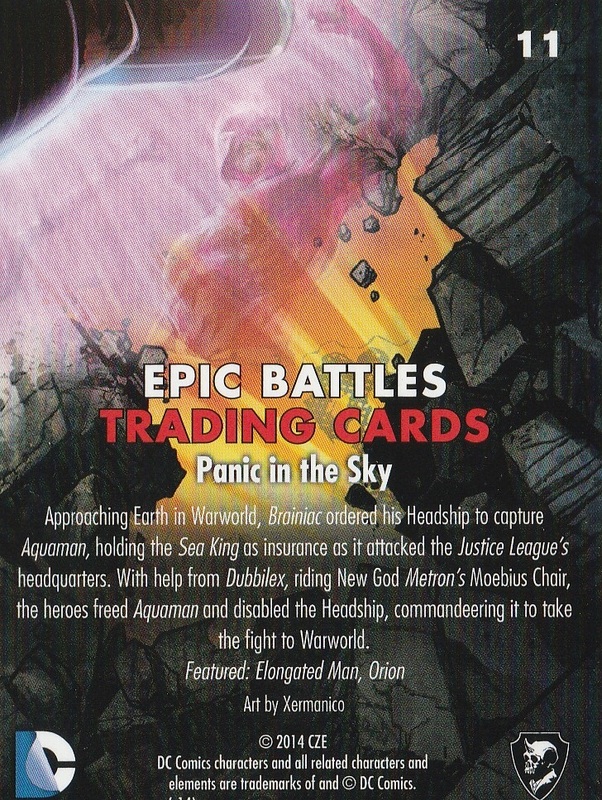 As seen in Cryptozoic's DC Comics Super-Villains (2015) and DC Comics: Justice League (2016) trading card sets, Xermanico (aka Alejandro Germánico Benit) once again contributes another beautiful painted composition spanning multiple cards — this time depicting a key moment from the Panic in the Sky storyline. I believe this was Xermanico's first contribution to a Cryptozoic set. You can see more of Xermanico's work at his deviantart page. 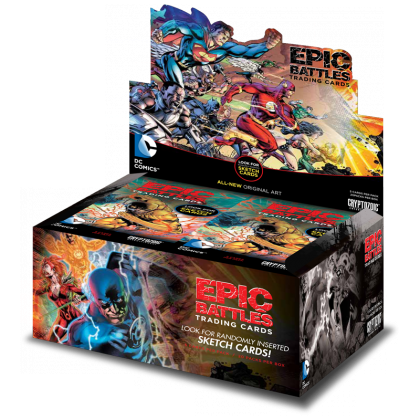 The 9-card Epic Battle arrangements are action-packed, full of detail, and are pleasing to look at joined as a completed puzzle or as single cards. 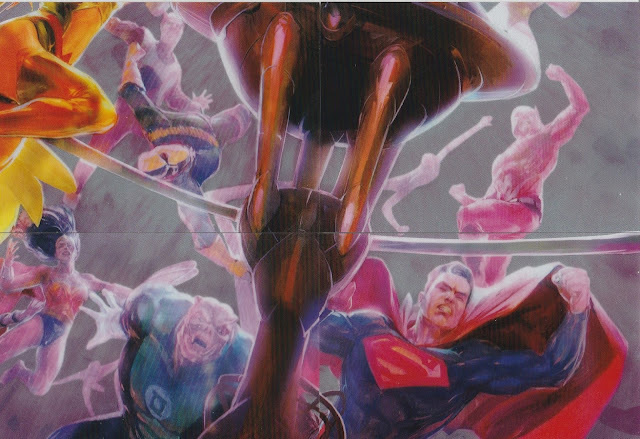 Unlike the 2012 Batman: The Legends trading card Batcave 9-card puzzle foil chase set, you're not going to get a card that leaves you scratching your head wondering what you're looking at (ex: "Is that Superman's foot?") — only one card out of this 63-card base set doesn't have a superhero or super-villain featured on it. Once again, comics veteran Adam Beechen provides the copy text at the back of the card. Beechen did an excellent job with this text and it can be read as a single stand-alone card or as a running narrative describing the events during the featured cross-over. He manages to keep the text tight and compact, but descriptive — this is important to me since, often, when I need a refresher on a previous storyline, I like to look back over my trading cards and read the Coles Notes version. The back of the card also tells us which characters are featured on the front (just in case you were unfamiliar with them) and who illustrated the card. 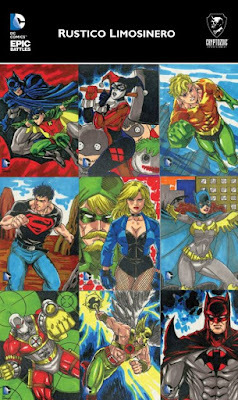 As a DC comics fan, this set appealed to me for two reasons: it featured some of my most cherished early nineties DC cross-over events, and it featured them in nine-card puzzles. The fact that they were foil stamped was a delightful surprise. As a whole, I was impressed with the artists chosen to immortalize these events. This whole base set, while being relatively small (63 cards), is a gem and makes me feel like I just attained 63 chase cards. As mentioned before, these cards REALLY stand out among other trading cards and you can sense that these are something special when you hold them. It's not often that I find a trading card set with base cards that are SO GOOD they eclipse the radiance of the chase cards (except for the artist sketch cards) — but that's exactly what happened in this instance. Prior to this trading card review I've never heard of THARP, but if you told me he/she was an animator for the Power Puff Girls or Teen Titans Go!, I wouldn't be surprised. This kind of art does not personally appeal to me — it's a bit too 'child-like' for my tastes. 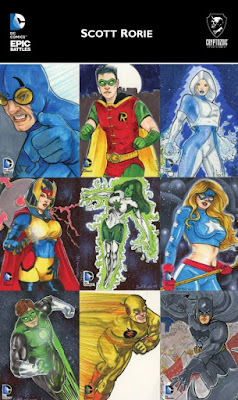 (Maybe this was something Cryptozoic threw in to occupy your young son or daughter as you opened your sealed box searching for the artist sketch card?) So I'll be passing on these. It's a personal prefence thing, really. If you're into this kind of art, don't let my opinions deter you... these chase cards are also printed on Cryptomium™ cardstock and come in a sticker variant. There's nine in total to collect. Another 'cute' nine card chase set. 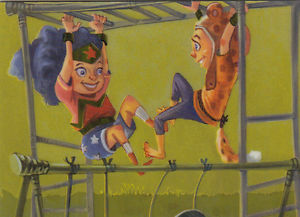 However, this one joins to form a larger image of children dressed as superheroes and super villains playing on a playground. If you're into that, you're really going to enjoy these. I'm not really into this, so I'll be skipping it. These chase cards were also printed on Cryptomium™ cardstock. This is a new concept (to me) and I really like the idea. It's a card that unfolds to make a really LONG card — even longer than those WIDE VISION trading cards they were experimenting with in the early nineties. The idea is a good one (more card equals more art on the card), but the subject matter is not something I'm interested in collecting. DC Comics Bombshells is an idea that became relatively popular in the last five years: current DC heroines re-imagined as World War II pin-up girls (all fully-clothed) and sold as variant covers, sculptures, action figures,... you name it. I know there's a market out there for the DC Bombshell stuff (since the merch keeps selling), so I can see how they'd really appreciate this chase card set. I hope that Cryptozoic re-uses this idea again, but for subject matter I'd want to collect. 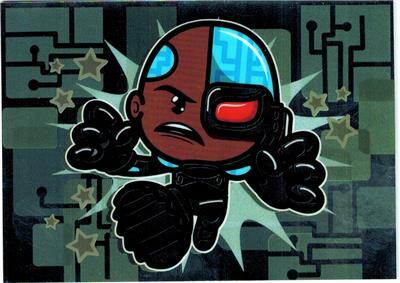 I love gimmick cards, and a "piece of a costume" on a trading card is as gimmicky as it gets. Unfortunately, with a '1-in-160' chance of pulling one of these, I don't think I'll ever get a chance to touch one, let alone see one, in real life.